With that many products out there making huge claims on improving fuel economy, increasing horsepower, cleaning carbon deposits and fuel injectors, finding the best fuel injector cleaner is a hard task. Are those claims real or just marketing? In principle, fuel injector cleaners are designed to take harmful carbon deposits off of your engine’s inside. Deposits that may lead to misfire, knocking, less responsive throttle, rough idle, lowered fuel economy and many other problems. Well, we will answer that question in great detail, because as always… it depends. Some do, some don’t. Because we want you to get your hands only on the best fuel injector cleaner, we’ve tested, analyzed and reviewed well known brands as well as some newcomers to see who performs the best. We will talk about efficiency, cleansing potency, price and what to look for on a fuel injector cleaner to provide with all the information you need to make the right choice. Sea Foam is probably the Best Fuel Injector Cleaner in terms of Effectiveness and getting the job done. The Royal Purple Max Clean Fuel System Cleaner is a 3 in 1 product. It is meant to clean injectors, remove carbon deposits and stabilize fuel. 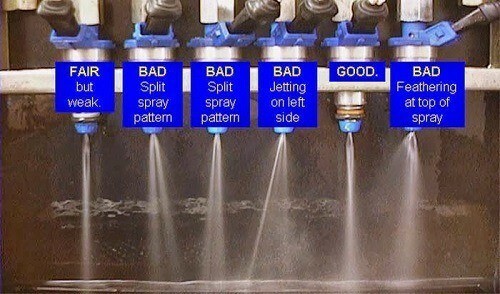 Why you should use a fuel injector cleaner. Fuel injectors atomize the fuel inside the combustion chamber. It mixes with air, gets compressed, then ignited by a spark plug et voila! Power. The efficiency of that explosion and later combustion will depend on many factors. One of the most relevants is the proper atomization of the fuel. Fuel injector cleaners are additives that work manyfold. They mix with your gasoline (or diesel) and get sprayed into the combustion chamber together with the fuel. Most of them are nitrogen based detergents that break down the bonds of carbon deposits and set carbon particles loose. They also include alcohol to fight moisture accumulations preventing water from freezing in the fuel lines and combining during the combustion so the moisture dissapears (remember, water is the most dangerous agent and can totally destroy your engine). And finally, they help cleaning the tiny apertures in the fuel injectors to ensure proper atomization of fuel. A good fuel injector cleaner will get your 18 years & 300.000 miles old truck’s engine as clean as it was the day it got out from the dealership, running smooth and saving you expensive visits to the garage. And that’s what we are here for right? Spend a little to save a ton. Good. Let’s move forward. What to look for on a fuel treatment system. We are going to focus on two key aspects. One is efficiency. We don’t want to repeat the process twenty times for our engine to be clean. That costs too much time and money. Lucas serves this product on gallons. The price for one gallon is quite reduced for what the product does. For instance, to run a full cleaning procedure on a Chevy Silverado with a 26 gallons tank works at just a few dollars since you only need to add 3 ounces of the product for each 10 gallons of fuel. It is recommended to do several runs of the product to see proper results. 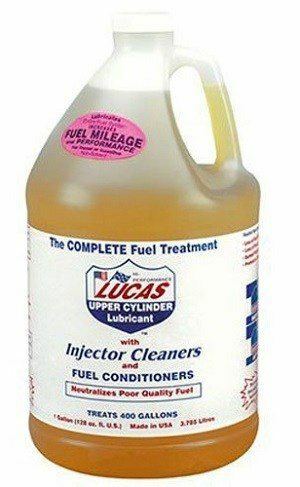 Lucas Fuel Treatment is not the strongest of its kind so you will need to repeat the process several times. This is mainly the reason we recommended the Gallon over the 16oz bottles. However, many customers report strong results after several uses. Increased Mileage and more stable idle are the two most common reported results. It works for both Diesel and Gasoline. When used in diesel engines, Lucas Fuel treatment neutralizes the harmful effects of low sulfur diesel, helping you pass smog tests safely. Conclusion: Lucas Fuel Treatment deserves nº1 by its well-rounded benefits and crazy value for money. Sea Foam is our second pick and let’s see why. You will however not need more than a few uses to notice significant changes and even with the first use, depending on the state of your engine, you will notice the change in response. Warning: The application of this treatment is different from most fuel injector cleaners. Watch the following video to see how to apply it and see the cleansing power of this fuel injector cleaner. Again, thanks to ChrisFix for the great work. Conclusion: Sea Foam is probably the Best Fuel Injector Cleaner in terms of Effectiveness and getting the job done. Let’s see the bronze medal! The Royal Purple Max Clean Fuel System Cleaner is a 3 in 1 product. It is meant to clean injectors, remove carbon deposits and stabilize fuel. Let’s have a look at the specs. One bottle serves one tank and we will notice results in just a few uses. If we consider the price, it offers the lowest value for money from our selected fuel injector cleaners. Conclusion: While not as powerful as Sea Foam, RP does a good job cleaning the engine. However, some of the claims (such as that 2.6% increased Horsepower) we do not believe. And that bring us to our next part of this article. Quick answer: yes they do. At least the few we’ve reviewed. But there are hundreds of fuel injector cleaners. Some of them are snake oil. A total waste of money. 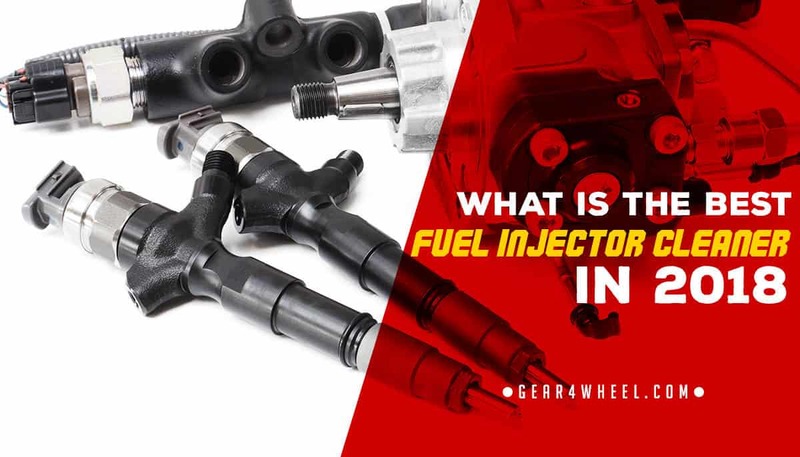 To help you understand the main benefits of the fuel injector cleaners that actually work, check the reality of the 2 most common claims: Increased horsepower and increased MPG. Horsepower are a measure of Power. Power is torque*rpm. Without a increase of either the torque or the revolutions per minute, there is no increase in Power. RPM are easy to understand: broom brooom, pedal to floor till revs reach redline. Revolutions per minute. Torque depends on the mean effective pressure of the expansion gases over the overhead piston surface. This is defined by the mass of air and fuel that expands during combustion. The bigger the mass, the higher the torque (for the same volume). The ratio air-fuel is either mechanically or electronically controlled and will not increase regardless of what fuel we use, so that mass won’t change. What happens tho, is that you may RECOVER lost horsepower due to underperforming components. Clogged fuel lines full of dirty particles won’t feed injectors as good as they should. Dirty injectors will spray in wrong ways leading to bad combustion. Accumulation of carbon deposits will reduce the total volume on the cylinders. And all that, reduces power. The best fuel injector cleaner will restore the health of those components, giving you your ponies back. But don’t expect your 195hp Civic Si to go to 220hp by using an additive. A good performing engine will do better MPG than an engine that’s performing bad due to old, undermaintained components. Proper maintenance of your engine will ensure that it works as good as new. Using the best fuel injector cleaner will help you recover lost horsepower and get the most out of your car's engine. This is a very good write up on what these things do. However, you mentioned Chris fix who showed that seafoam and royal purple worked somewhat but nothing in regard to Lucas so it’s weird thst you have Lucas as no.1. Thank you.